Will Google’s Project Glass Change The Face Of SEO? ORLANDO, FLORIDA-It seems that Google sees hands-free as the new frontier-first the debut of their self-driving car and now Project Glass, a prototype of augmented reality glasses that replace the need for a smartphone, camera or GPS. Danny Sullivan, the editor-in-chief at Search Engine Land, calls them “Google’s Siri for your eyes” and an article on www.forbes.com went so far as to say that iPhone maker’s days are numbered. 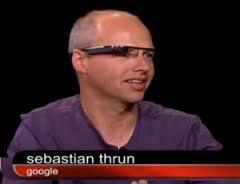 One of the people heading up the project, Google Fellow Sebastian Thrun, has taken a prototype out for some real-life research. In a Google+ update on May 8, he posted an image and video he took during his test. Google is using the Project Glass page on Google+ to start a conversation about the product, asking for feedback and questions people have about the design photos and video they released demonstrating the concept. There were more than 500 comments, including questions about integration with prescription glasses and how they plan to handle battery life obstacles. Not only does the video attempt to show how a steady stream of information about weather, mass transit schedules and turn-by-turn directions enhance the quality of the wearer’s life, it demonstrates potential ways that the glasses help him connect socially. Using only voice commands, he takes a picture that posts directly to his Google+ page, sets up a meeting with a friend, checks in at the coffee truck outside the bookstore, accesses and responds to text messages, and shares his view from a rooftop during a video conversation. While Google has working prototypes and lofty goals for the concept, the technology may or may not be able to deliver. The International Business Times pointed out five obstacles that Project Glass would have to overcome, including a way to filter messages, allow for multi-tasking, and get away from Internet reliance. It also raises other questions about how it would impact search engine optimization marketing. As technology becomes more advanced, SEO has to advance with it, but our CEO Ali Husayni says it is too soon to tell what changes it might bring. Google+ is already a factor used in the search algorithm to determine the popularity and relevance of a website. The push to make it the go-to source for Google’s news and announcements about new technology seems to be Google’s way of telling companies that to organically improve rankings, they will have to get on board. Do you think this technology will become a reality? And, if so, how do you foresee this impacting search? Google glasses are definitely fascinating in concept, but they have a lot of hurdles to get over if there is ever going to be market-ready product. I agree @rihal that it would change the marketing sector though. Just imagine how many more opportunities–and different ways–there would be for companies to market themselves! yeah, definitely this technology is going to leave very great impact on this generation more in the marketing sector. can you imagine seated in your house then source some goods from miles away from you? i appreciate this technology.